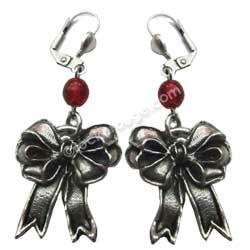 A cute bow dangling from a single ruby-red bead. All metal parts are lead-free, nickel-free and plated in sterling silver, and all items are handmade in the USA. 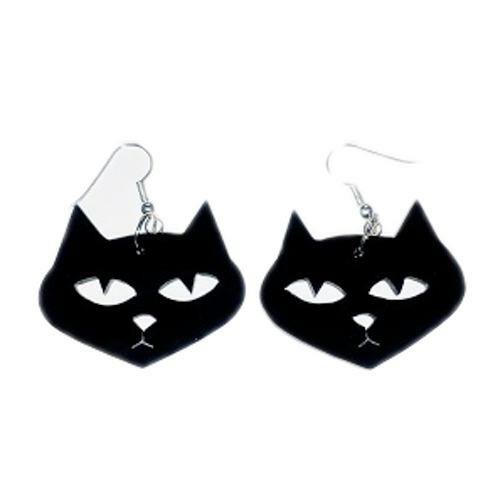 Black cats earrings cut from 3mm thick acrylic. Check out the matching necklace! 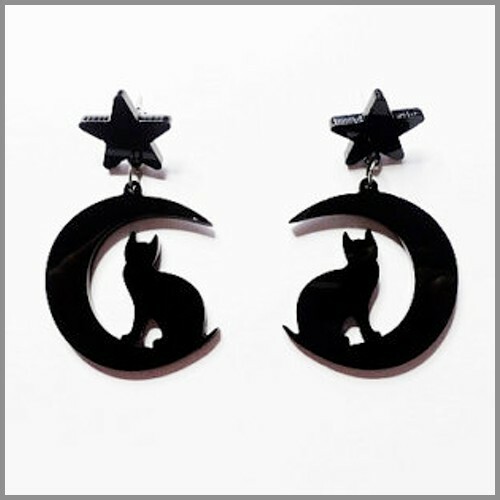 Moon Gazing Cat in black acrylic, with allergy-free fittings. 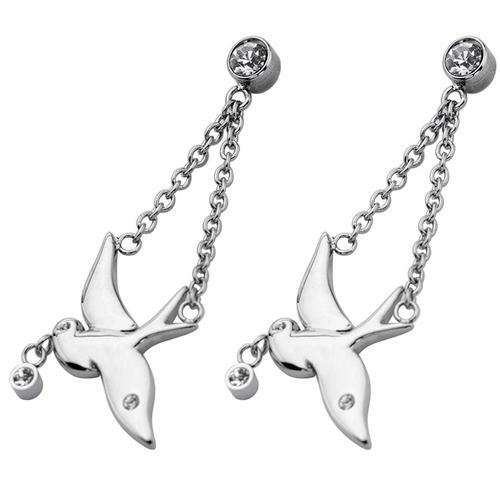 Sweet polished steel swallows on chains, dangling from a clear CZ stud. Matching bracelet and necklace available. 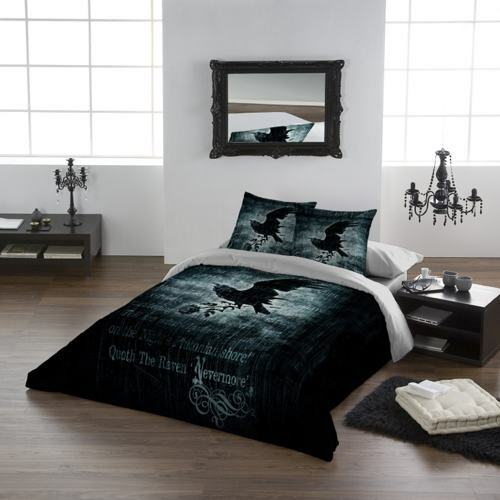 Also available as part of a set. 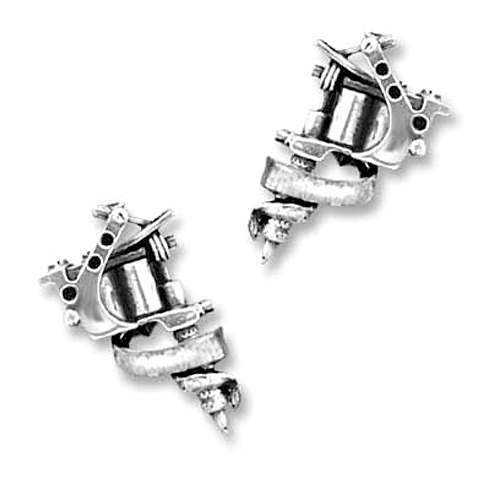 A pair of pewter tattoo machine studs.